Join American Hauntings for a night that you won't soon forget -- a search for the ghosts of the old Lake County Jail in Crown Point, Indiana, made famous by a daring escape by infamous bank robber John Dillinger! Spend the late night hours looking for the ghosts of this historic -- and very haunted -- old jail with a limited number of ghost hunters during a private ghost hunt. Find out if the place is really as haunted as so many people claim and perhaps come face to face with one of the former occupants of the place! The evening will include a historic tour of the jail followed by a ghost hunt at a place that has been called one of the most haunted places in Indiana. The night begins at 8:00 p.m. and continues until 2:00 a.m. -- unless you get too scared to continue! Don't miss out on this chilling night at a place where gangster history lives on! In 1840, Crown Point was established as the county seat of Lake County, Indiana. A frame courthouse was built in 1849 on Clark Street. The building contained a courtroom, jury room, and sheriff’s room. In 1851, a small, wooden jail with heavy hardwood cross planking and cells defined by sheets of iron was added. The town and county developed rapidly in the next 30 years and a new brick and stone courthouse was erected in 1878 at the intersection of Main and Joliet Streets. The first permanent sheriff’s residence and adjoining jail was built in 1882 at its present location, 226 South Main Street, at a cost of $24,000. The jail measured 36’ by 48’ and contained six steel cells for males, four for females, and strong steel corridors. As the local population grew, a larger jail was needed. Around 1908, this jail was replaced with a larger structure, and in 1928, another addition was made that extended the length of the jail through the block to East Street. The combined residence and jail included all the facilities necessary for its purpose as a law enforcement institution. Located within the walls were the family’s living area, warden’s residence, department offices, 150 cells, maximum security accommodations, institutional kitchen, food storage, heating and cooling systems, barber shop and a garage. The Crown Point jail was considered to be one of the finest in Indiana and thought to be escape-proof. However, on March 3, 1934, gangster John Dillinger proved it to be otherwise when he made his daring escape. Dillinger was arrested in Tucson, Arizona in January of that year for a bank robbery in East Chicago that resulted in the death of Detective William Patrick O'Malley. He was extradited to Indiana on January 28th and placed in the Lake County Jail in Crown Point. 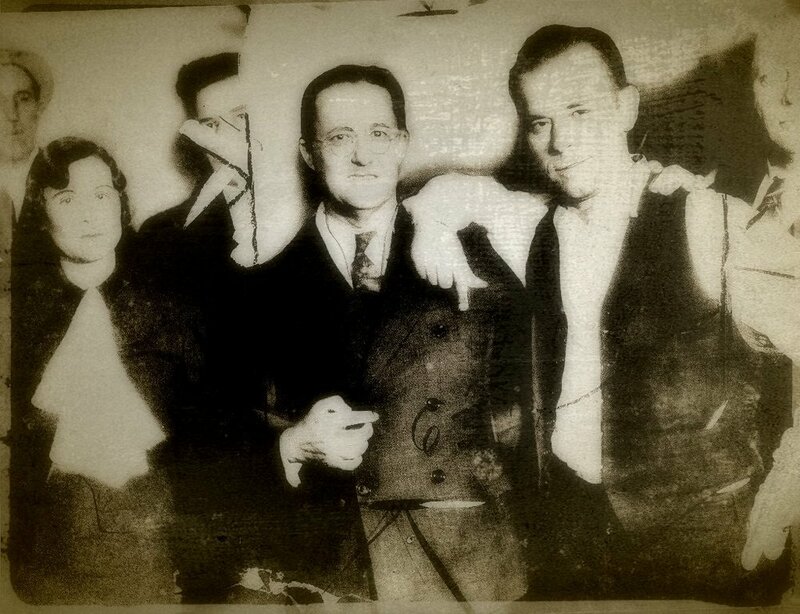 Legend has it that Dillinger carved a gun from a piece of wooden washboard others say he acquired a real gun (the story varies) and forced a trustee and others to lock up 14 jailers including the Warden and a fingerprint expert. With a fellow prisoner and two hostages, he made his escape over the state line into Illinois. The hostages were released unharmed. Unfortunately, this escape didn't do much to help the career of the state's attorney (posed to his right) or Sheriff Lillian Holley, who had taken on the position after the murder of her husband, the former sheriff. Dillinger embarrassed her by driving off in her car. Until 1958, state law required Indiana sheriffs to reside in a house adjoining the jail but once the requirement was lifted, the sheriff's house was turned into offices. The last sheriff to live in the residence was Jack West. The house was used as an office until 1974 and has been empty ever since -- of the living anyway. In 1974, the current county government complex was completed on North Main Street in Crown Point, and the sheriff’s offices moved to that facility. During the late 1970s, some areas of the old residence and jail were used for retail purposes as part of a commercial complex. After they closed, the buildings remained unoccupied. In 1987 interest in restoring the facility grew and the Old Sheriff’s House Foundation, Inc. was formed the next year. The Old Sheriff's House and Jail was placed on the National Register of Historic Places in 1989 and the property was acquired in 1990 and restoration plans began. 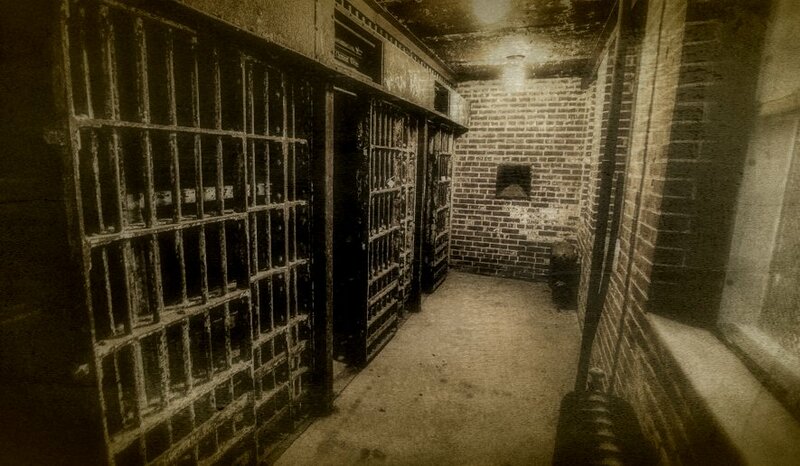 As restoration has continued over the last two decades, stories have emerged about a haunting at the jail. Apparitions have been seen in cells and corridors, strange photographs have been taken, doors open and close by themselves, lights turn on and off and disembodied footsteps and voices have often been reported by volunteers and visitors alike. 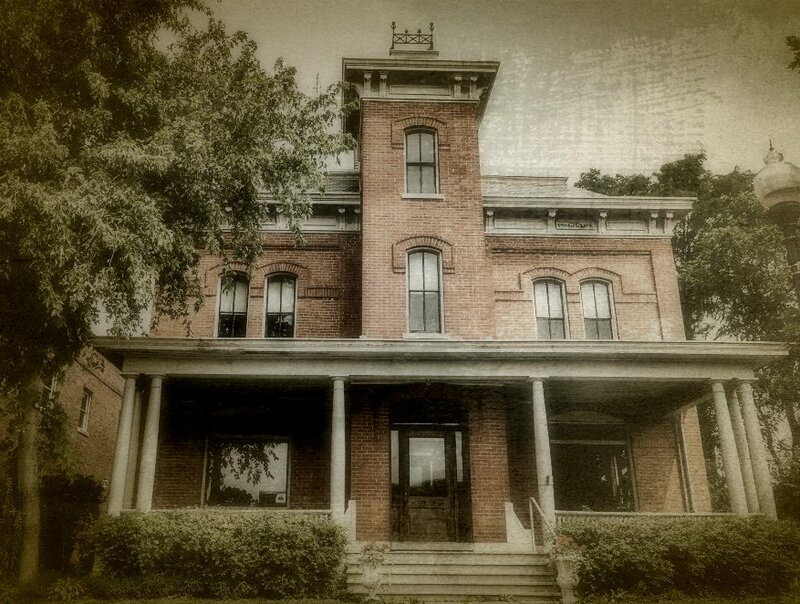 Take advantage of this opportunity to join American Hauntings at this famous historic location! Walk the corridors and pass through the doorways in the footsteps of John Dillinger and enter the cell where the legendary bank robber once served time -- and then search for the spirits that still linger in this place. It's a night you won't soon forget!